West Ham Ladies boss Marc Nurse is aiming for a title victory within two years after replacing Julian Dicks. 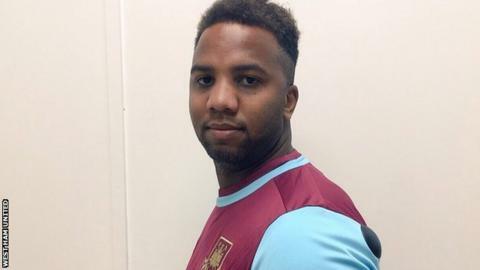 Nurse took charge of the Hammers in July after Dicks became first-team coach of the West Ham men's side. The women's team finished sixth in the Premier League South last season - 21 points behind winners Portsmouth. "We want to invest in the squad and in the club. Ultimately that will help us to win a title, maybe this year, maybe next," Nurse told BBC Sport. "Replacing Julian Dicks at the beginning of pre-season is not ideal, so I've gone for a realistic target of finishing in the top five and maybe achieving a cup final this year. "In the second season we want to win - to come first." Former manager Dicks made 326 appearances in two spells for the Hammers as a player, and improved the women's team's league position from 10th to sixth in his season in charge. "From the outside point of view people might look and say 'he's got a bit of pressure because he's replacing a legend, Julian Dicks'," Nurse said. "But I'm very confident in my own ability that I can achieve good things and that's why I applied for the job." With WSL promotion the aim, West Ham will need to combine good results on the field with progress off it in order to meet the Super League's minimum entry requirements. "Both the chairmen are serious about progressing onto the next level," Nurse added. "Obviously West Ham have a massive fan-base but it's just about trying to get people involved in women's football. "That's what's going on behind the scenes and everyone's pushing hard for it."